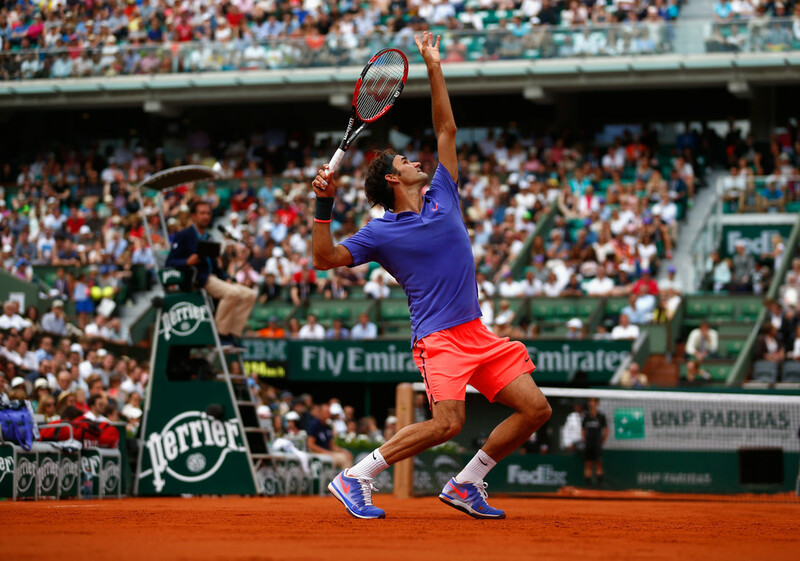 Roger Federer got his quest underway Sunday for a second Roland Garros title and 18th Grand Slam crown. 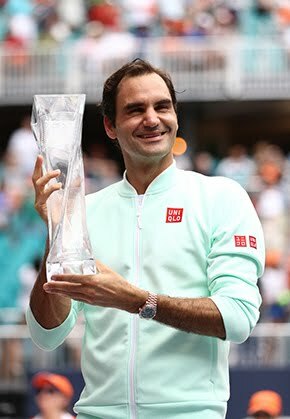 Second seed Federer improved to 8-0 lifetime against lucky loser Alejandro Falla with a 6-3, 6-3, 6-4 at the start of his 62nd straight Grand Slam championship. Federer hit 42 winners, including eight aces, converting three of his 15 break point opportunities for victory in one hour and 49 minutes. 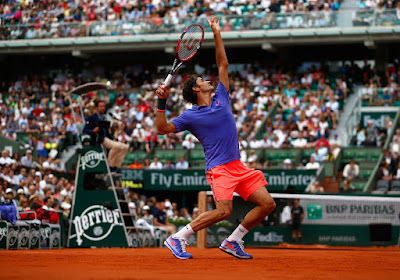 He is now 62-15 at the clay-court major in Paris, where he lifted the trophy in 2009 (d. Soderling), and he will next challenge Marcel Granollers in the second round. Granollers, a 6-4, 6-3, 7-6(7) winner over qualifier Matthias Bachinger, equaled his best result at the tournament last year in reaching the Round of 16 (l. to Raonic). Federer leads the ATP Head to Head series 3-0. "I'm not sure that the first round is any different," Federer said. "I think that as we go through the tournament, then we probably feel that we are more and more satisfied. But the first round is a bit like I want to win the first round, to be in the tournament and not to go back home immediately, to be one of the first ten players to go back home. So that's the whole idea about it. That is, you want to play a good match and then focus on the future. That's when I will start enjoying this moment." 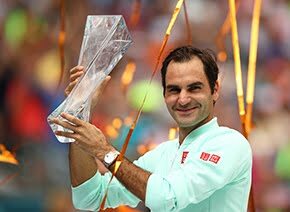 Federer has a 26-5 match record on the season, which includes three titles at the Brisbane International presented by Suncorp (d. Raonic), the Dubai Duty Free Tennis Championships (d. Djokovic) and the TEB BNP Paribas Istanbul Open (d. Cuevas).